Infoblox Inc. (NYSE:BLOX), the network control company, today announced that it has entered into a definitive agreement to be acquired by Vista Equity Partners (“Vista”), a leading private equity firm focused on software, data and technology-enabled businesses. Under the terms of the agreement, Infoblox stockholders will receive $26.50 per share of common stock in cash, which represents a 33% premium to Infoblox’s average closing share price over the last 60 trading days, and a 73% premium to Infoblox’s unaffected closing price as of May 11, 2016, when media reports of interest in acquiring Infoblox were first published. 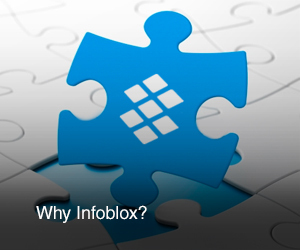 The transaction values Infoblox at approximately $1.6 billion. The agreement was unanimously approved by Infoblox’s Board of Directors. Infoblox’s Board of Directors received and thoroughly evaluated multiple indications of interest before deciding to proceed with this transaction. The transaction will be effected by means of a tender offer followed by a merger, and the Infoblox Board of Directors unanimously recommends Infoblox stockholders tender their shares in the offer. The transaction is expected to close in Infoblox’s fiscal second quarter, subject to customary closing conditions and regulatory approvals. Infoblox will maintain its corporate headquarters in Santa Clara, California and continue to be led by its current executive team. For further information regarding the terms and conditions contained in the definitive merger agreement, please see Infoblox’s Current Report on Form 8-K, which will be filed in connection with this transaction. Morgan Stanley is acting as exclusive financial advisor and Fenwick & West LLP is acting as legal advisor to Infoblox. Vista’s legal advisor is Kirkland & Ellis LLP. Infoblox (NYSE: BLOX) delivers Actionable Network Intelligence to enterprise, government, and service provider customers around the world. As the industry leader in DNS, DHCP, and IP address management, the category known as DDI, Infoblox (www.infoblox.com) provides control and security from the core—empowering thousands of organizations to increase efficiency and visibility, reduce risk, and improve customer experience. Vista Equity Partners, a U.S.-based private equity firm with offices in Austin, Chicago and San Francisco, with more than $26 billion in cumulative capital commitments, currently invests in software, data and technology-based organizations led by world-class management teams with long-term perspective. Vista is a value-added investor, contributing professional expertise and multi-level support towards companies realizing their full potential. Vista’s investment approach is anchored by a sizable long-term capital base, experience in structuring technology-oriented transactions, and proven management techniques that yield flexibility and opportunity in private equity investing. For more information, please visit www.vistaequitypartners.com. All statements in this communication that are not statements of historical fact are forward looking statements. These forward-looking statements can be identified by the fact that they do not relate only to historical or current facts. Forward-looking statements often use words such as “anticipate”, “target”, “expect”, “estimate”, “intend”, “plan”, “goal”, “believe”, “hope”, “aim”, “continue”, “will”, “may”, “would”, “could” or “should” or other words of similar meaning or the negative thereof. These statements involve risks and uncertainties that could cause our actual results to differ materially from those expressed or implied in forward-looking statements, including, but not limited to: (i) uncertainties as to the timing of the proposed transaction; (ii) the risk that the proposed transaction may not be completed in a timely manner or at all; (iii) uncertainties as to the percentage of Infoblox’s stockholders that will support the proposed transaction and tender their shares in the offer; (iv) the possibility that competing offers or acquisition proposals for Infoblox will be made; (v) the possibility that any or all of the various conditions to the consummation of the proposed transaction may not be satisfied or waived, including the failure to receive any required regulatory approvals from any applicable governmental entities (or any conditions, limitations or restrictions placed on such approvals); (vi) the occurrence of any event, change or other circumstance that could give rise to the termination of the Merger Agreement, including in circumstances which would require Infoblox to pay a termination fee or other expenses; (vii) risks regarding the failure to obtain the necessary financing to complete the proposed transaction; (viii) risks related to the debt financing arrangements entered into in connection with the proposed transaction; (ix) the effect of the announcement or pendency of the proposed transaction on Infoblox’s ability to retain and hire key personnel, its ability to maintain relationships with its customers, resellers, channel partners, suppliers and others with whom it does business, or its operating results and business generally; (x) risks related to diverting management’s attention from Infoblox’s ongoing business operations; (xi) the risk that unexpected costs will be incurred in connection with the proposed transaction; (xii) changes in economic conditions, political conditions, trade protection measures, licensing requirements and tax matters; (xiii) the risk that stockholder litigation in connection with the proposed transaction may result in significant costs of defense, indemnification and liability and (xiv) other factors as set forth from time to time in Infoblox’s filings with the Securities and Exchange Commission, which are available on our investor relations Web site (http://ir.infoblox.com/) and on the SEC’s Web site (www.sec.gov). All information provided in this communication is as of the date hereof, and stockholders of Infoblox are cautioned not to place undue reliance on our forward-looking statements, which speak only as of the date such statements are made. Infoblox does not undertake any obligation to publicly update any forward-looking statements to reflect events, circumstances or new information after this communication, or to reflect the occurrence of unanticipated events, except as required by applicable law.